Sugars and lots of it, the stickier the better. For example toffees are the best for this. These types of sugars can hang around for hours. 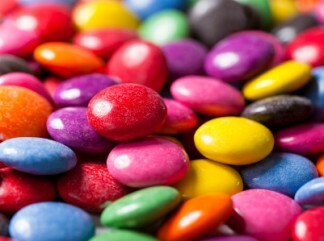 Other names for sugars include lollies, cordials, and yes, even chocolates. The bacteria which are best able to stick to teeth, love an acidic environment. So add some soft drinks that have carbonic acid (which is most of them) and, of course, they also contain sugar. The risk has now increased greatly. Don’t worry we can make things worse. We haven’t considered the susceptible tooth. Teeth with deep grooves or exposed roots are at higher risk. But the environment of the mouth can be changed to make the teeth vulnerable to decay. The next ingredient is caffeine. This can cause the mouth to become relatively dry, making saliva less protective of teeth. The coating of the teeth, the enamel, becomes soft and is easily worn. It also makes it more easily attacked by chemical reactions caused by bacteria eating sugars. There are now wonderful package deals available to really wreck your teeth. 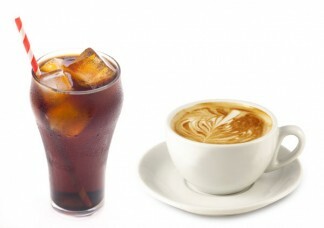 These include high caffeine soft drinks that are also acidic and contain loads of sugar. Even sports drinks are highly acidic and can even directly erode the surface of the tooth. To make the recipe really have a chance to work, don’t clean your teeth or get anyone professional to do it. Avoid the dentist for as long as you can. You will then get gum disease on top of decay. If you smoke then a further drying of the mouth occurs, not to mention the stains that it causes as it highlights where the bacteria are on the teeth. Decay causes a permanent flaw in the tooth structure. Fillings repair the space made but are a poor second to the properties of the lost structure. Loss of bone due to gum disease is also permanent. Even if all the decay was fixed with wonderful dental treatment and no expense spared, it can be undone very quickly if the decay recipe is followed again. Why Seymour Dental? Next week Diet is the key – the good and the clean.